Homecoming Weekend at Nyack College is an opportunity to revisit the familiar and to become acquainted with the new. 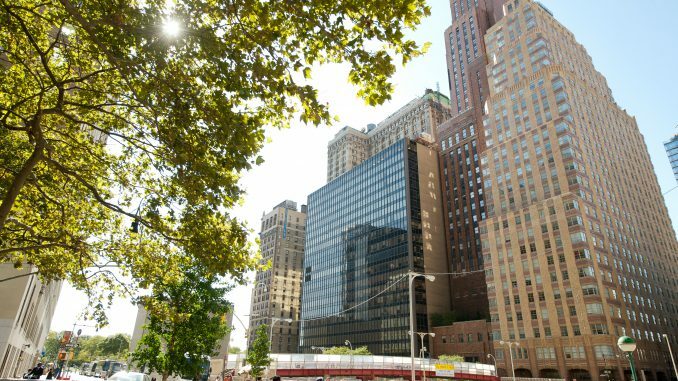 A special feature of the Friday, October 12 itinerary includes a tour of the Nyack New York City campus located at 2 Washington Street near the Financial District and Battery Park. Participants can explore all eight floors of this modern building with tour guide NYC Dean of Students Dr. Charles Hammond and learn the layout of the modern 166,000+ square foot site. Free roundtrip transportation to Manhattan will be provided from the Rockland County campus, departing from Simpson Hall at 12:45 PM. 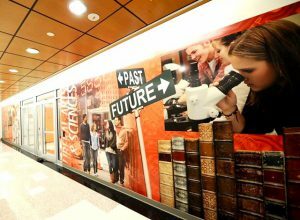 Step off the elevator on each floor and a powerful photographic mural welcomes you. The old and the new come together even in the red, blue, green and yellow floor tiles that are emblematic of the stained glass windows of the Gospel Tabernacle, an Nyack precursor known as the Missionary Training Institute. Walk the outer corridors and catch breathtaking views of the Hudson River, a glimpse of the Statue of Liberty, Ellis Island and other City landmarks. Pre-registration is required for this Homecoming event.